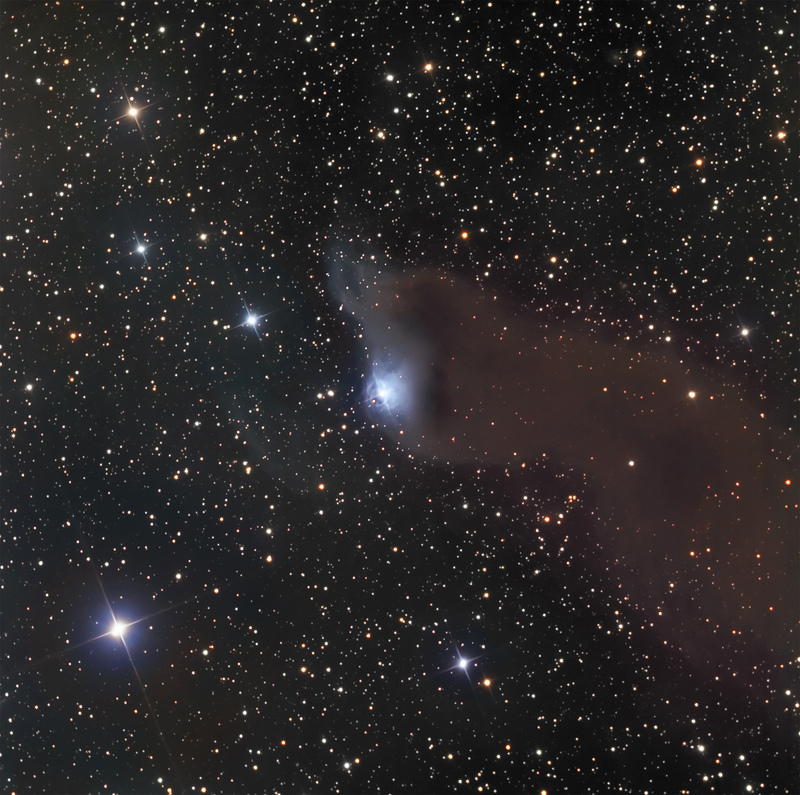 van den Berg (vdB) 152 is an elongated cloud 1,400 light years distant in the Constellation of Cepheus. It is sufficiently dense in localized areas to block all light from stars from reaching us. In other areas, some stars shine through. Its reddisih color is largely due to light scattering off dust particles within the cloud. This preferntially scatters light of shorter wavelengths and lets redder light through. The tip of the cloud near the center of the image is reflecting blue light from a nearly embedded star.